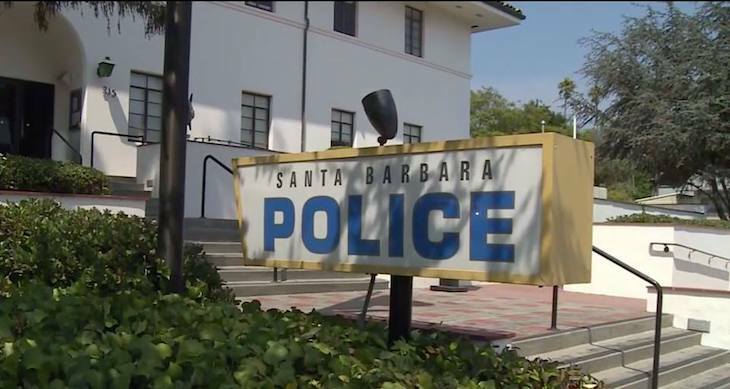 The City of Santa Barbara is in the process of selecting a site in the downtown area for the Police Department’s new Police Station. The existing Station located at 215 E. Figueroa St. was built in 1959 and designed to accommodate a staff of 85 serving a population of 58,000. Today, the Department has 211 staff serving 92,000. The existing building is undersized, out of date, and does not meet seismic safety or accessibility standards. You are invited to attend any of the upcoming family-friendly meetings to learn more about the project. Attendees will have the opportunity to ask questions and provide comments. Spanish translation and light refreshments will be available at all three meetings. Meet Police Chief Lori Luhnow, who will provide a brief project overview at the beginning of the meeting! PERFECT timing with Sears closing ... CHP is looking for site as well as Santa Barbara PD- It is a huge building that could incorporate both and have a motorpool shop as well. They need to think big and to the future. The Army Reserve site at State and Las Positas has LOTS of room to meet the current needs and future growth. The alternatives being presented are just a dog and pony show. Real alternatives aren't even being suggested. For example, get the national guard armory at Las Positas and State and put a police station there. This would be mid-city and bring some services to areas currently heavily neglected or ignored. There is no reason the police need to stay downtown near the courts and DA. Other law enforcement works just fine at a distance. Or close off lower State St on Saturday mornings as they do on Tuesday evenings. If it works on Tuesday, then why wouldn't it work on Saturday? I wish they would close State St entirely. I always enjoy it when they do. PITMIX: That is a TERRIBLE idea. Especially on a Saturday. Why haven't they considered using the parking lot used for jury duty down the street from the current police station? It belongs to the County, not the City. This seems obvious to me. Move the Farmer's Market to the lawn bowling lot, which I think is bigger, still close to other city lots and buses. Build the new station on the eastside and closer to the courthouse. Am I missing something? Ah, yes, I see. Of course. Did anyone go to the meeting last night? Is the lot as large as the current lot? Is there nearby parking? The advantage of the current SB farmer's market location is two public lots within a block with free 75 minute parking. I think Skip meant move the Farmers’ Market to the parking lot attached to the lawn bowling greens, not to the greens themselves. I like the idea of moving the Farmers Market to the lawn bowling spot, if they could find a way to do it that doesn't tear up the lawns. They have to be kept smooth for the bowling games. There's got to be a solution. I'm sure the lawn bowlers would be amenable to losing the space on Saturday mornings if the alternative was to lose it completely. Brilliant - win win. Just the boost downtown needs on the weekend to click with restaurants and shopping in this part of town. Louise Lowry parking lot does not get used on the weekends, so it is open and available for this single Saturday morning Farmers Market use. Farm to Table would be real and is a great way to boost the surrounding restaurants at this end of State Street. Time-saving technology? It's now 2018 and we haven't saved a minute since 1959. Besides in 1959 SB was the pits, new police station or not. Population when from 58K to 92K a 58.6% increase, staff when from 85 to 211 a 148% increase -- I think that is the crux of the problem, too many people on the staff. Reduce staff to 135 and we need and most of the requirement goes away. It would be a good exercise to look at all city staffing compared to 1959 and cut accordingly. Also they now have huge increase in time saving technology . Compare city staffing to all other coastal cities of similar size and mission. Santa Barbara employs twice as many staff members, as all the others, except for the very liberal governments of Santa Monica and Berkeley. Government employee and those dependent on government services represents tremendous block voting powers. No wonder the city or county is not open to other forms of private employment in this county - they want to keep the political monopoly in their own hands.